LL Cool J once said, “Don’t call it a comeback,” but in this case, call it a comeback. 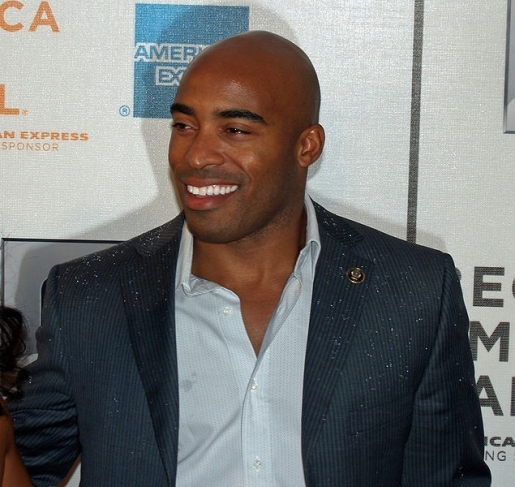 Former New York Giants running back Tiki Barber, age 35, has filed paperwork to make his return to the NFL. That’s right, Tiki Barber is making a comeback with whatever team will have him, assuming the NFL gets its labor problems sorted out. Otherwise you may see Tiki in his underwear and shoulder pads as a member of the Lingerie Football League. Tiki Barber is broke. There’s no other reason for this. After he retired, he left his 8-months-pregnant wife for a 23-year-old NBC intern, lost face with NBC, and found himself a broadcaster without a job in May 2010. Since then the opportunities have been few and far between, and now he’s hurting for money since the divorce crushed his wallet, so he’ll be crawling back to the league which he left in his prime. Tiki retired with two years left on his contract with the New York Giants and that team still owns his rights. Apparently, they’re not interested in taking on a 36-year-old (or older) running back who made it clear in 2007 that he hated Eli Manning and was a locker room cancer. “We wish Tiki nothing but the best, and when we are able to make the transaction, we will release him from our reserve/retired list,” said Giants spokesman Pat Hanlon.